Molecular architecture in nanoscale spaces can lead to selective chemical interactions and separation of species with similar sizes and functionality. Substrate specific sorbent chemistry is well known through highly crystalline ordered structures such as zeolites, metal organic frameworks and widely available nanoporous carbons. Size and charge-dependent separation of aqueous molecular contaminants, on the contrary, have not been adequately developed. Here we report a charge-specific size-dependent separation of water-soluble molecules through an ultra-microporous polymeric network that features fluorines as the predominant surface functional groups. Treatment of similarly sized organic molecules with and without charges shows that fluorine interacts with charges favourably. 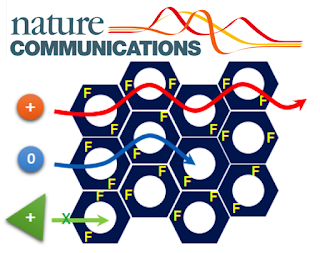 Control experiments using similarly constructed frameworks with or without fluorines verify the fluorine-cation interactions. 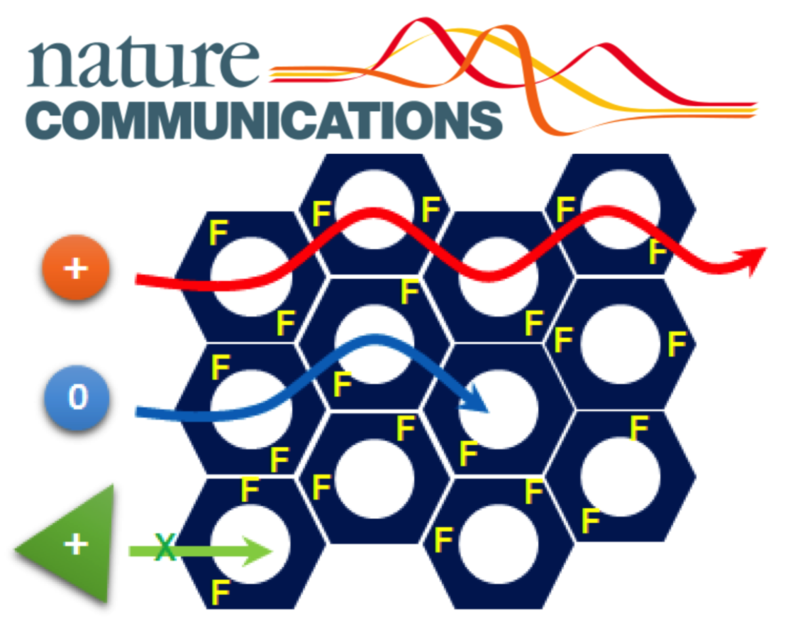 Lack of a σ-hole for fluorine atoms is suggested to be responsible for this distinct property, and future applications of this discovery, such as desalination and mixed matrix membranes, may be expected to follow.